Normally Quick 'n Easy Web Builder will give objects unique names automatically. However if you use one of more master pages or master frames then IDs may be duplicated, since the software can not distinguish a master from a normal page and will simply embed the objects exactly as they are. To check for possible conflicts, please use Menu->Tools->Error Reports. 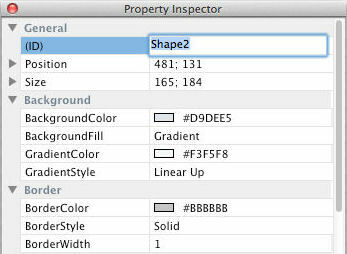 You can change the ID of an object in the Property Inspector. You can also enable the option 'Include page name in automatically generated IDs' in Preferences->HTML.